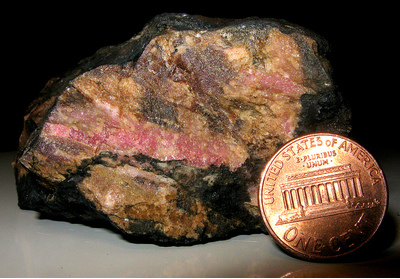 Hawley "Mineral Belt" stratabound massive sulfides deposit. Located in Plainfield near the Cummington line. It is often erroneously listed as being in either Cummington or West Cummington. The deposit was said by Emerson (1898) to have been worked extensively in 1848 before being abandoned due to the "California gold excitement." The mine was acquired in 1925 by the metallurgist and inventor, Anson Gardner Betts (b. 1876, Lansingburgh, NY; d. 1976), who operated it under the name Taconic Manganese Mines. The most active mining period was 1939-1942 (Quinn, 1945). His son Anson Ketchum Betts (b. 1924, Kinderhook NY; d. 2013) also worked for the family mining business. The mine and tailings are now under the ownership of EarthDance. Was quoted in July, 2014 that the new cost of mining there was $20 per person and only one five gallon bucket of material may be removed per trip/day. Reference: Quinn, Alonzo W. (1945). Geology of the Plainfield-Hawley area : with special reference to deposits of manganese and iron minerals (USGS Open-File Report: 45-28); "Western Massachusetts Mineral Localities" by Alan Plante, Valley Geology Press, 1992. Reference: "Western Massachusetts Mineral Localities" by Alan Plante, Valley Geology Press, 1992. 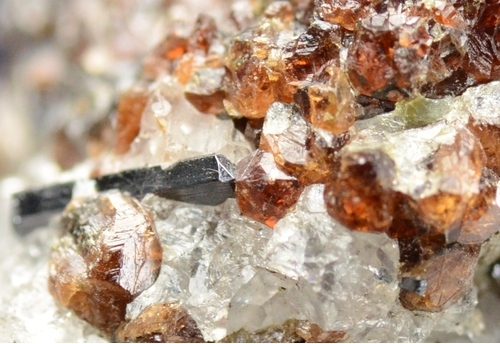 Description: Probably the best "species" to list most crystals under that have not been analyzed as they cannot be reliably differentiated visually. 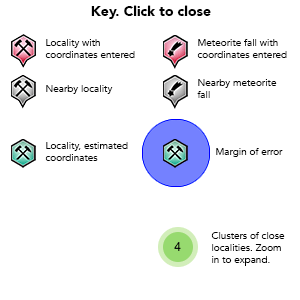 Description: No data in the source reference. Is there a reference that proves this species? Reference: Kim, Soo Jin (1991). 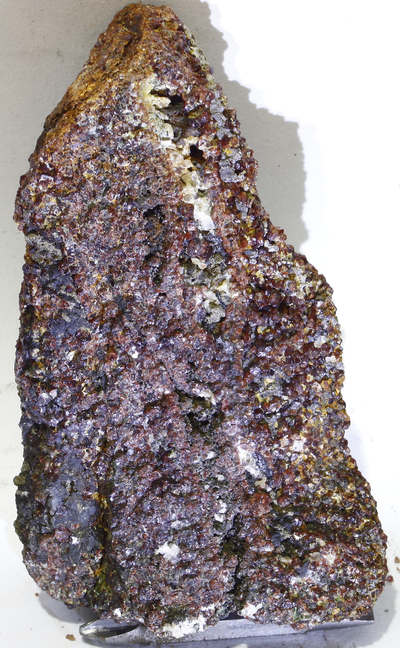 New characterization of takanelite (American Mineralogist, Volume 76, pages 1426-1430); "Western Massachusetts Mineral Localities" by Alan Plante, Valley Geology Press, 1992. Reference: "Western Massachusetts Mineral Localities" by Alan Plante, Valley Geology Press, 1992. Former Alfred Patrie collection. Description: No specifics in reference. 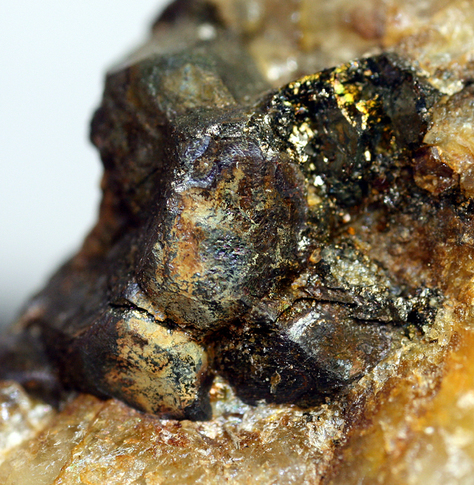 Is the gold from nearby alluvium? Reference: Hickmott, Donald D. (1982). The mineralogy and petrology of the Betts mine area, Plainfield, Massachusetts: Unpublished B. S. thesis: Amherst College, Amherst, Massachusetts, p. 38. Description: Interbedded amphibolite, greenstone, feldspathic schist and granofels. 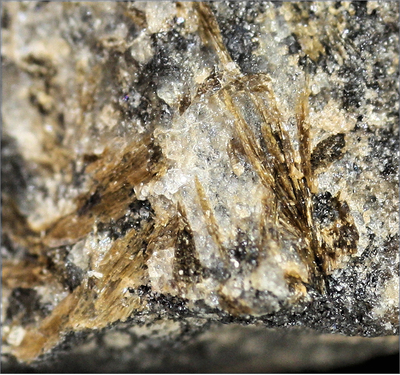 Coarse plagioclase in some amphibolite near top; local coarse hornblende blades or sprays. Sparse coticule (Emerson, 1917, p. 43). As used here the Hawley includes amphibolite, sulfidic rusty schists, abundant coticules, silvery schists, quartzites and quartz conglomerates, and quartz, feldspar, biotite granulites. The quartzites and quartz conglomerates occur at two positions in rocks here assigned to the Hawley. Those occurring near the top have been mapped previously as Russell Mountain Formation or as Shaw Mountain Formation. The Hawley overlies the Ordovician Barnard Gneiss and underlies Silurian and Devonian "calciferous schists" that include the westernmost Goshen Formation in MA and Northfield Formation in southern VT, the central Waits River Formation and the eastern Gile Mountain Formation. Authors believe that the Goshen, Northfield, and Waits River are facies equivalents, while the Gile Mountain is slightly younger. Map symbol indicates that Hawley is Ordovician and Silurian. 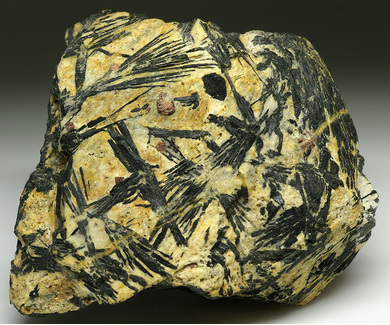 40Ar/3Ar hornblende release spectrum date of 433+/-3 Ma obtained by Spear and Harrison (1989) (Trzcienski and others, 1992). Comments: Part of Rowe-Hawley Zone (Ordovician and Older Rocks). Secondary unit description per MA013. Original map source: Unpublished Digital Geologic Map of Massachusetts received from Rudi Hon of Boston College in 1998; based on the 1983 USGS paper version (MA002). Nash, Alanson (1827). Notices of the Lead Mines and Veins of Hampshire County, Massachusetts and of the Geology and Mineralogy of that Region, American Journal of Science and Arts: 7: 250. Emerson, B. K. (1898). Geology of Old Hampshire County. (USGS Monograph 29). Perry, Elwyn L. (1934). 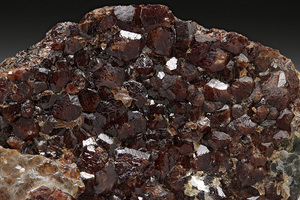 The Hawley Mineral Belt, Massachusetts, Rocks & Minerals: 9(7): 93-99. Elwell, Wilbur J. (1936): A Mineralogical Trip Through New England. Rocks and Minerals: 11(3): 36-7. Quinn, Alonzo W. (1945). Geology of the Plainfield-Hawley area : with special reference to deposits of manganese and iron minerals, USGS Open-File Report 45-28. Dixon, A. M. (1946): Two Localities near Plainville, Mass. 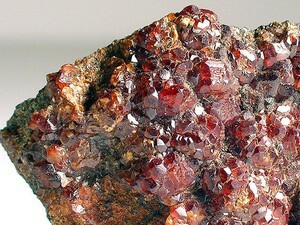 Rocks & Minerals: 21 (11): 754-755. Mosier, M. (1949). 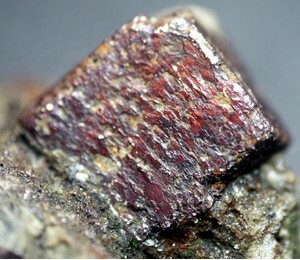 Investigation of Anson Betts manganese mine, Hampshire County, Massachusetts, U.S. Department of the Interior, Bureau of Mines. Dunn, Pete J. (1976). 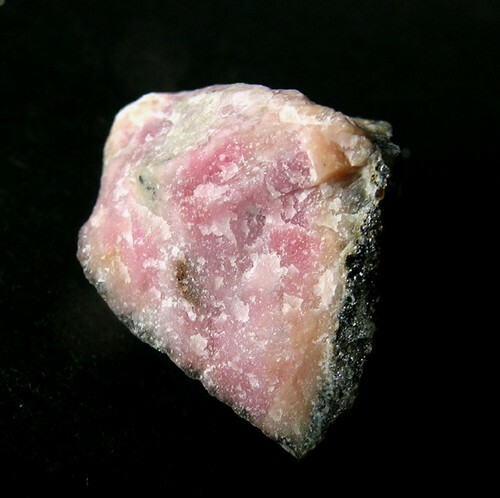 On gem rhodonite from Massachusetts, Journal of Gemmology: 15(2): 76-80. Hickmott, Donald D. (1982). The mineralogy and petrology of the Betts mine area, Plainfield, Massachusetts: Unpublished B. S. thesis: Amherst College, Amherst, Massachusetts, 105 p.
Hickmott, Donald D; Slack, John F; Docka, Janet A. (1983). Mineralogy, Petrology, and Genesis of the Manganese Ores of the Betts Mine, Hampshire County, Massachusetts, USA in Field Trip Guidebook To Stratabound Sulphide Deposits, Bathurst Area, N.B., Canada, and West-Central New England, U.S.A. Geological Survey of Canada, Miscellaneous Report 36, 1983, p. 65-76. Kim, Soo Jin (1991). 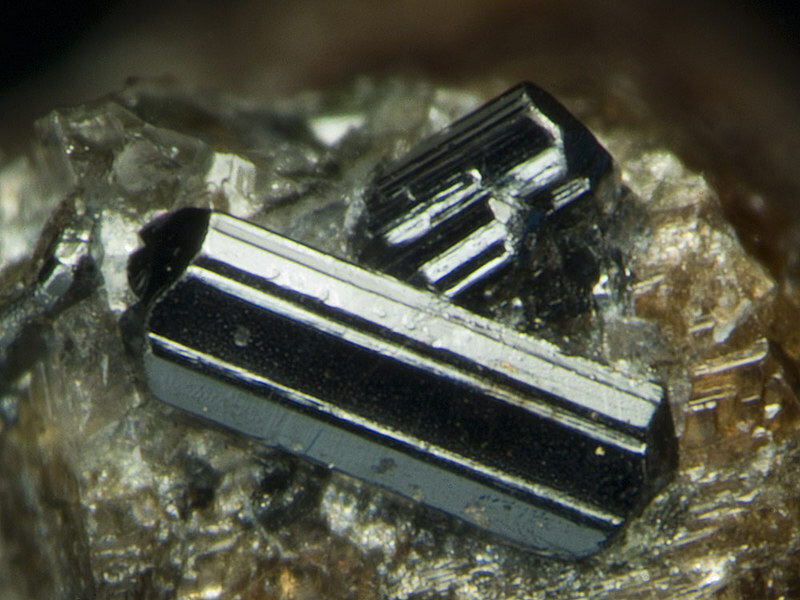 New characterization of takanelite , American Mineralogist: 76: 1426-1430. Plante, Alan (1992). Western Massachusetts Mineral Localities (Valley Geology Press).